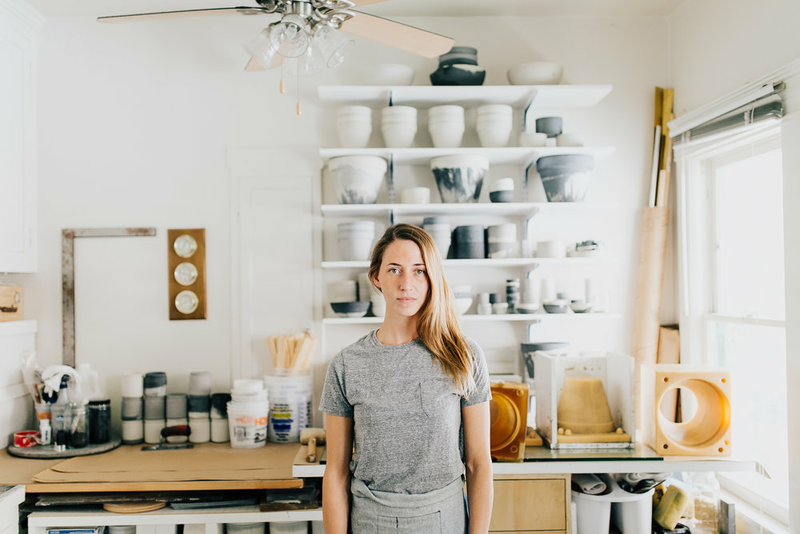 "Settlewell founder and designer Laura Cornman shaped concrete into small jars that are great for home organization. “Jars are incredibly useful, but the options are fairly limited to glass, amber glass and plastic,” she said. 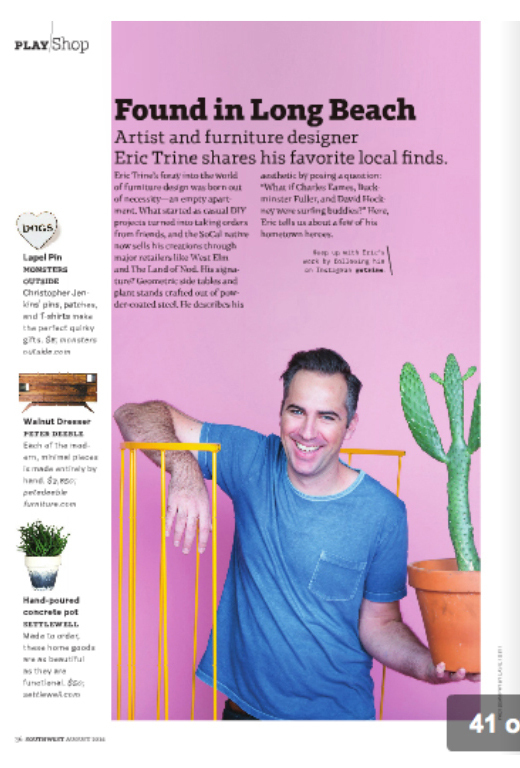 “I’m always looking for ways to get rid of visual clutter.”"
"Found in Long Beach: Artist and furniture designer Eric Trine shares his favorite local finds."